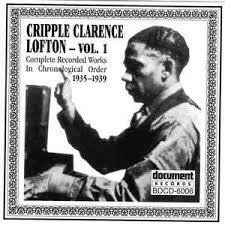 Clarence Lofton (March 28, 1887, 1896 or 1897 – January 9, 1957), credited as Cripple Clarence Lofton, was an American boogie-woogiepianist and singer born in Tennessee. There is uncertainty over when and where he was born. Many sources state that he was born Albert Clemens in 1887, in Kingsport, Tennessee.However, the researchers Bob Eagle and Eric LeBlanc state that, based on information in official records, he was born Clarence Clemens in 1896 or 1897, in Burns, Tennessee, and may have been adopted as Clarence Ramsey. 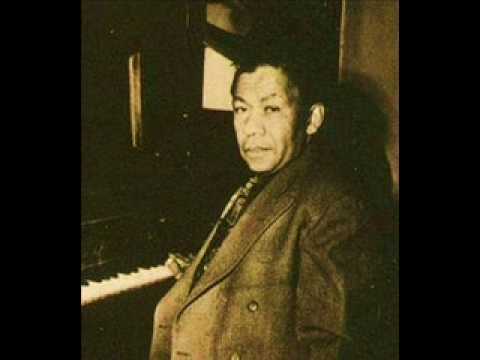 They also concluded that Albert (or Elbert) Clemens, born c.1903, who was also a singer and pianist who recorded for Bluebird Records, was his brother. 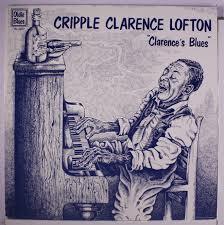 With his distinctive performance style, Lofton became a mainstay in his genre. His first recording was made in April 1935 for Vocalion Records with guitar accompaniment by Big Bill Broonzy.Lofton also accompanied Red Nelson on several sides for Decca Records in 1935 and 1936. He later went on to own the Big Apple nightclub in Chicago and continued to record into the late 1940s, when he retired. Lofton lived in Chicago for the rest of his life. He died of a blood clot in his brain in Cook County Hospital in 1957.